I will share in this post how to unlock a Iphone with the latest update IOS without the password. The unlock will be processed by siri. In order not to let strangers randomly use our mobile phone, especial for the expensive iPhone, we usually set a password to lock the phone screen. Only we input the correct password so we can use the device as normal. However, sometimes password we set is very complex and couldn't remember it. This is common issue among iPhone users. So the question is how to remove iPhone screen passcode? Don't worry, we can work it out. 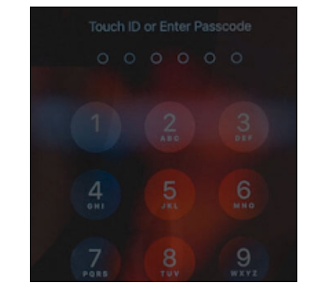 So if you forgot iPhone screen lock passcode, this article will teach you how to bypass iPhonescreen password in some easy ways. Actually, there was no way to unlock an iPhone without the right password in the past. However, a great solution comes out this year and it is able to remove the passcode in a couple of minutes. iOS Unlocker is an amazing software to solve all kinds of iOS issues. So in this part, we will use this program to unlock iPhone without password. Warning: All data on iPhone will be deleted after removing the passcode. Please be aware of that. Click about download button to save the installation file on a computer. Then follow the instructions to install it correctly. Now open the program and connect iPhone to computer via USB cable. Make sure iTunes in installed on the computer.